Thorvie International stands proudly behind the engineering, quality, and workmanship that goes into every one of their sharpening machines. They provide high quality equipment at manufacturer direct prices. They will do everything possible to help you create a thriving business. All Thorvie sharpening equipment is provided with the proper training aids needed to make sure your successful in the sharpening industry. Simply put, your success is our success. 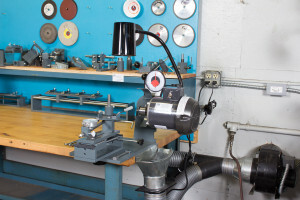 Since their start in 1977, Thorvie has offered custom sharpening equipment to accommodate everyone’s sharpening needs. If you are a sharpening service or a company looking to sharpen custom tooling, Thorvie is here to help. 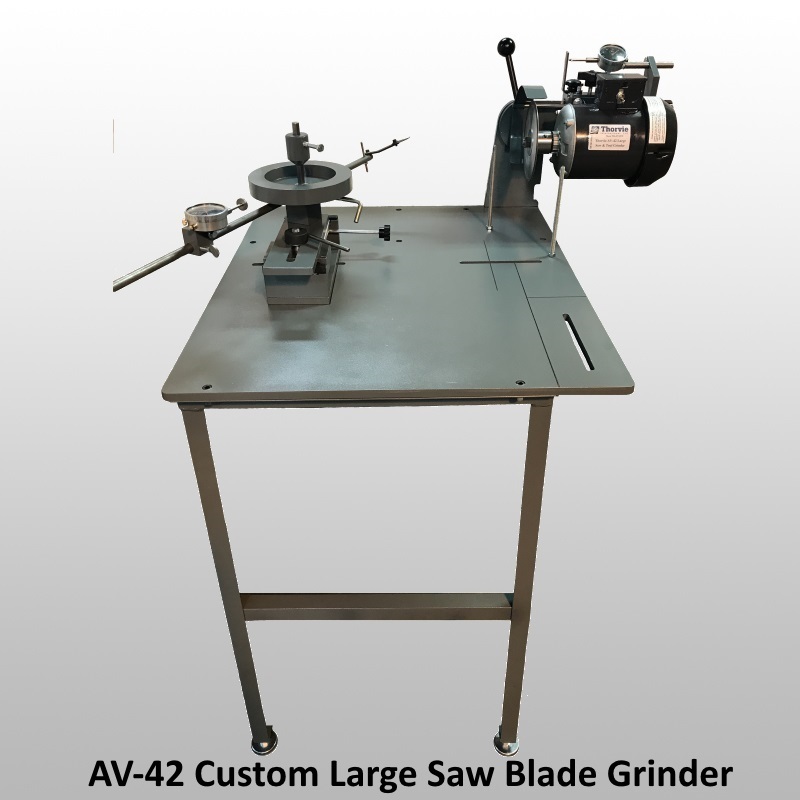 Whether you need a custom sharpening machine or a custom tool fixture for the AV-40 sharpening system, they will design, manufacture and test any custom equipment to guarantee your satisfaction. 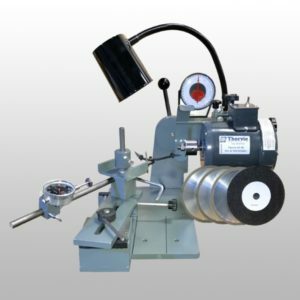 To view some custom sharpening machines visit: https://www.thorvie.com/start-business/custom-sharpening-machines/ . For other sharpening machines visit https://www.thorvie.com/shop/ or contact us at 866-497-0572 or sales@thorvie.com. Using your diamond grinding wheels in rotation helps keep your overhead down. You use 3 different diamond grinding wheels when sharpening carbide saw blades. There is a regular face grinding wheel, a top grinding wheel and a thin face grinding wheel. The thin face grinding wheel should only be used when sharpening 10″ 80 tooth or 12″ 90 or 96 tooth saw blades. The tooth spacing on these saw blades is very small where a regular face grinding wheel will not fit between the face of the tooth and the steel behind the tooth in front of the one you are grinding. The face and top grinding wheel are both the same however the wear patterns differ. The face grinding wheel will always wear evenly to the aluminum cast of the wheel. Where as the top grinding wheel will wear at a slight angle leaving the back side of the diamond section with a little bit of material left over. When your top grinding wheel wears out and the aluminum core is exposed, it needs to be replaced. It is then you purchase a new face/top grinding wheel and use the new wheel as a face grinding wheel. Use your old face grinding wheel as a top grinding wheel because the leading edge of the wheel may have become rounded over which replicates the top grinding wheel wear pattern.